Britain’s Queen Elizabeth II on Thursday said she hopes the Commonwealth will “one day” choose her son, Prince Charles, as its head as she opened a leaders’ summit in London. The Queen has headed the Commonwealth since 1952, when she took over the role from her late father, George VI. However, the position is not hereditary, and it is up to the leaders of the 53 member countries to select each successor. Welcoming leaders to Buckingham Palace as she formally opened the 2018 Commonwealth Heads of Government Meeting, the monarch said it remained “a great pleasure and honor to serve” the Commonwealth, adding that she is proud of the “flourishing network” it has become. “It is my sincere wish that the Commonwealth will continue to offer stability and continuity for future generations and will decide that one day the Prince of Wales should carry on the important work started by my father in 1949,” she said, using another title for Prince Charles. 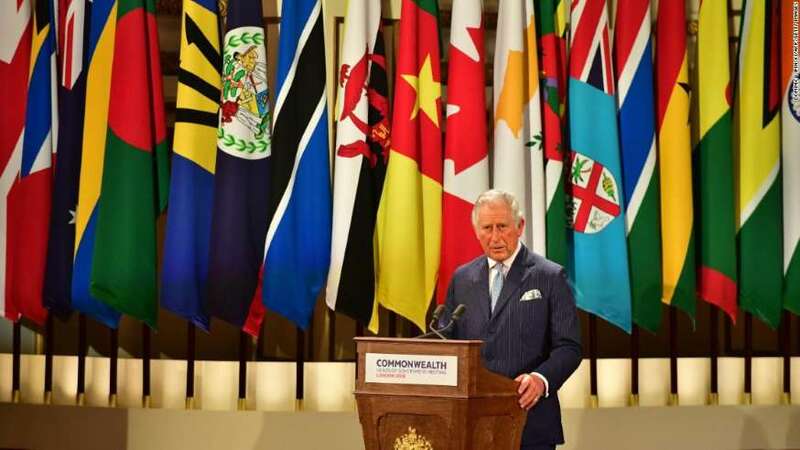 In his own remarks welcoming the Commonwealth leaders, Prince Charles described the body as “a fundamental feature of my life for as long as I can remember” and hailed the “strong and affectionate bonds” shared by its members. “The modern Commonwealth has a vital role to play in building bridges between our countries, fairer societies within them and a more secure world around them,” he said. Trade, ocean governance and cybersecurity are among the topics the leaders will address during the summit. Forums have also been held for women, young people, business and civil society. UK Prime Minister Theresa May said the Commonwealth represents “an incredible opportunity” to show what could be done through coordinated action to answer some of the 21st Century’s biggest questions. Commonwealth Heads of Government Meetings are usually held every two years, with member states taking turns as host. Since the Queen no longer undertakes foreign trips, this is likely to be the last time she attends the summit in person. The Commonwealth, a voluntary association of advanced and developing nations, brings together some 2.4 billion people around the world.